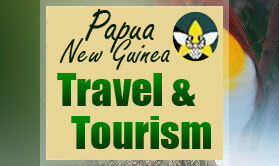 The Embassy of Papua New Guinea website, ‘Kundu Jakarta’ is available now for Public use. 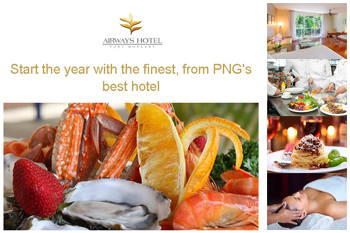 The website has been officially launched on Papua New Guinea’s Independence Day Anniversary on 16th September 2012. The Embassy provides the usual services for issue of normal visa, and business visas, information on Papua New Guinea, and information on essential aspects of related public and private services available. The Embassy hopes to solve the current information gap relating to economic, business/ commercial, tourism, sports, and other essential information of interest to the public. In terms of size and capacity, Kundu Jakarta is small compared to most Foreign Missions in Jakarta. The Embassy has a PNG staff capacity of five(5) and ably supported by four(4) local staff for administrative purposes, and assorted number additional support staff ranging from drivers, house maids, security, and gardeners. Kundu Jakarta was an initiative from the Ambassador, His Excellency, Commodore (Ret) Peter Ilau, DMS, CBE to in his main effort to enhance the Bilateral Relations with the Republic of Indonesia, and at the same time increase awareness of the potential of Papua New Guinea as a partner in business, and all other economic/ and commercial opportunities for mutual benefit for both countries. Papua New Guinea values its special and robust relations with the Republic of Indonesia and continues to seek new opportunities to further strengthen the relationship in all respects. The Embassy is open during normal business hours from Monday to Fridays. In addition to the services provided by this website, telephone contact during normal business hours is (6221) 7251218. The facsimile is (6221) 7201020. Papua New Guinea’s Minister for Foreign Affairs and Trade, Hon.Rimbink Pato OBE LLB MP attended the 10th Bali Democracy Forum in Jakarta, Indonesia from 7-8 December 2017, at the invitation of the Indonesian Government. 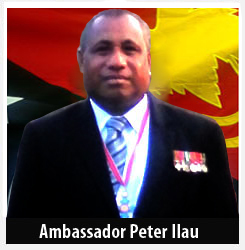 Ambassador, His Excellency, Commodore (Ret) Peter Ilau, DMS, CBE Journey from 2011 to 2017. Independent State of Papua New Guinea. 42nd National Day of Independence 2017. 15 September 2017, Third Annual Ambassadors Invitational. 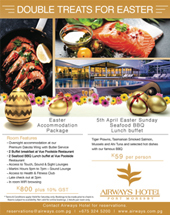 Papua New Guinea National Day Golf Tournament. 72nd Independence Anniversary of the Republic of Indonesia. ASEAN 50 Philippines 2017 - Partnering for Change, Engaging The World. 50th Asean Foreign Ministers' Meeting - Post Ministerial Conferences And Related Meetings. Gala Dinner, August 6, 2017, SM Mall Of Asia Arena. Visit by PNG Mapping Bureau Team, Department of Lands and Physical Planning, 27 April 2016. "Ambassador’s Dig 2016” with Habitat for Humanity Indonesia foto gallery. 6th Bali Process Meeting, Bali, 22-23 March 2016.